1. 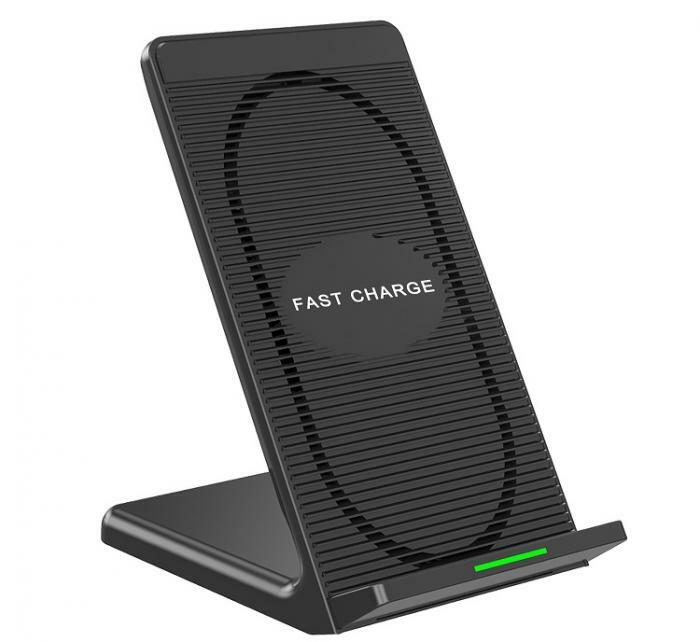 Fast charge mode, QC 2.0/3.0 adaptive fast charger requires a QC 2.0/3.0 adapter as its power source. 3. Indicator Lights: It turns blue when the battery are charging, green when the battery is full. Cooling Fan-Faster & Safer: The lower the temperature, the faster the charge. Built in cooling fan will continue to cool the phone and pad in the charging process, making charging more secure. 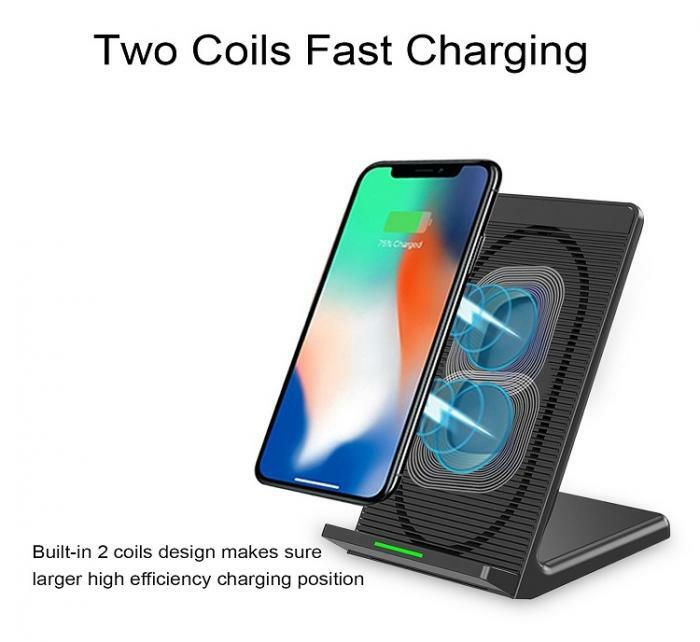 Fan Control Design: The bottom of the wireless charger has a fan switch. When you sleep quietly at night, if you can hear the fan's voice and mind it, you can choose to turn the fan off. Universal Compatibility: a. FAST CHARGE MODE directly and ONLY compatible with Galaxy Note 8, S8, S8 plus, S6 edge+, S7, S7 Edge, Note 5.A Quick Charge adapter(NOT included) must be used for the fast charging power input. b. Other standard QI enabled devices will charge at standard speeds, such as iPhone X, iPhone 8/8 plus. 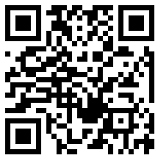 c.Those phones without standard QI-function need an additional QI wireless receiver(NOT included). 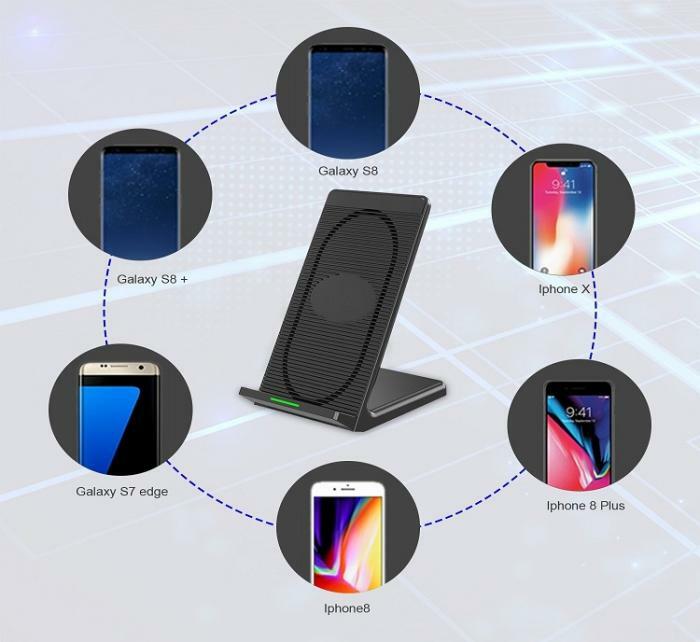 Holder Stand Design: Built-in 10 Watt 2 coils inductive source offers more widely charging area for free alignment and unlimited wireless charging experience. 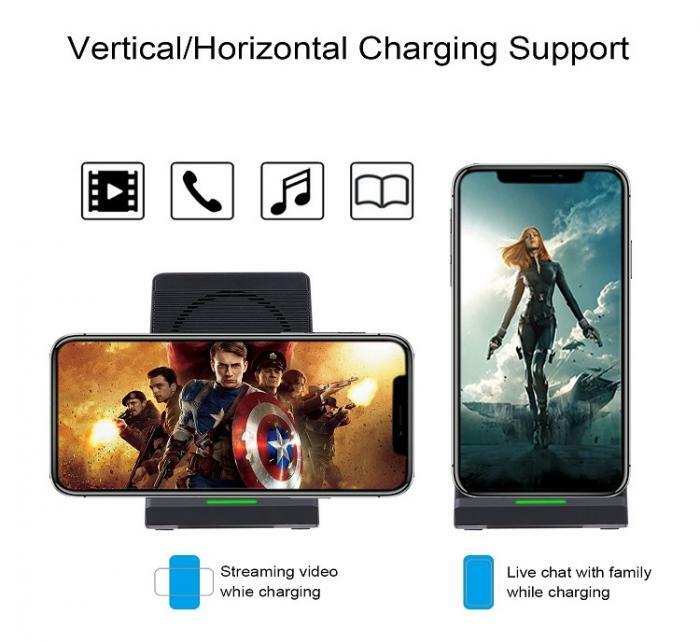 You can charge your phone vertically or horizontally; Enjoy movies and music, making calls or sending messages without interruption while charging.